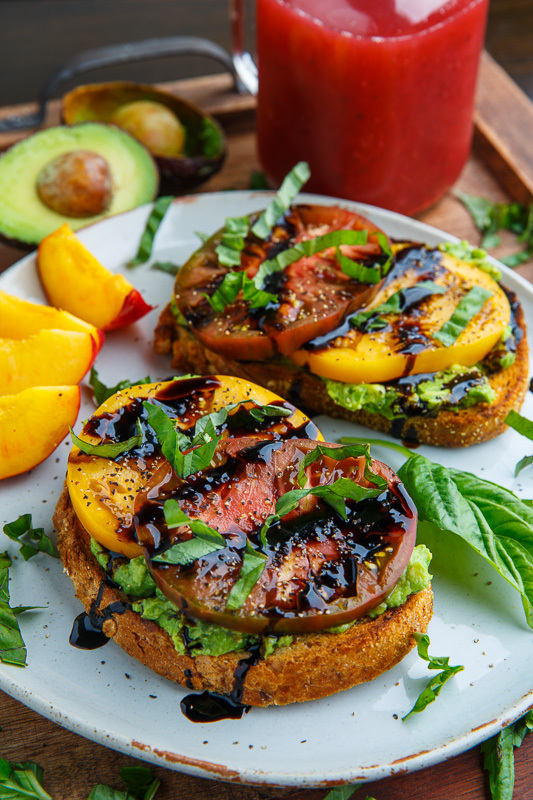 Fresh, bright and summery avocado toast with juicy ripe heirloom tomatoes, balsamic drizzle and basil! 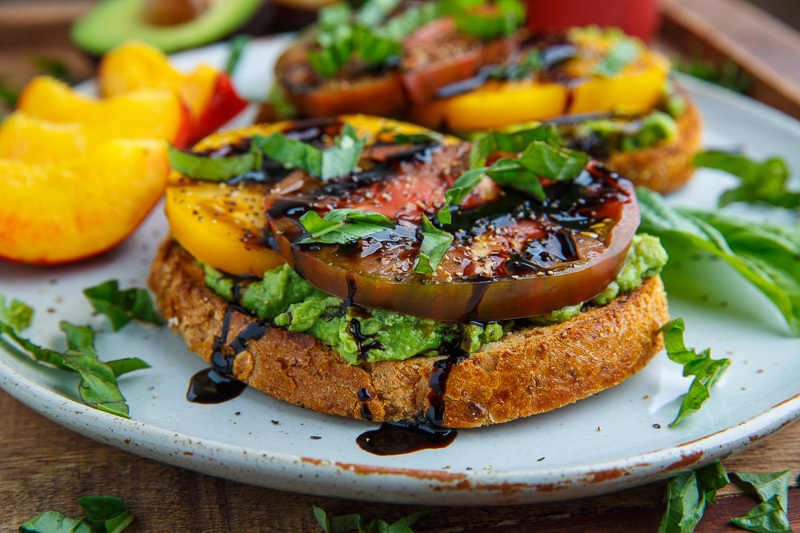 Today I have a really simple fresh heirloom tomato avocado toast with balsamic drizzle that highlights some of summers amazing flavours! 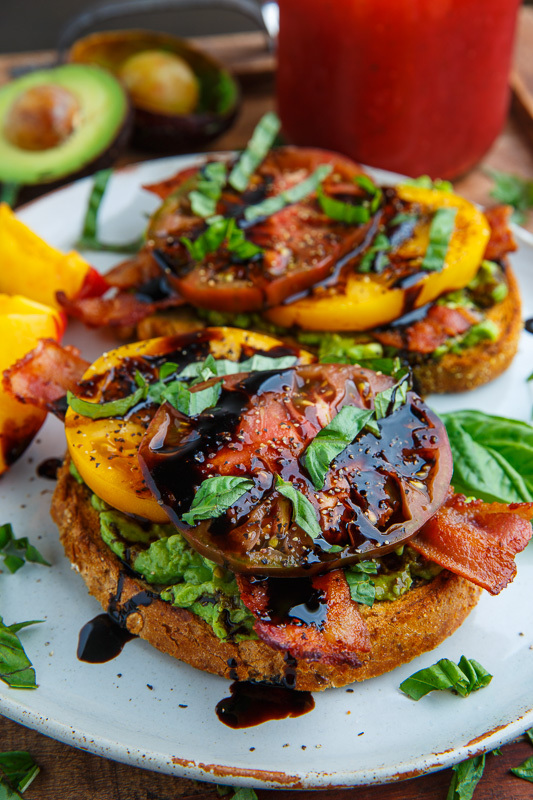 The juicy field ripened heirloom tomatoes are just bursting with goodness that goes so well with to sweet and tart balsamic reduction and basil, not to mention the cool and creamy mashed avocado. I always enjoy a simple avocado toast and it’s so easy to change up the toppings, though this has to be one of my favourites! 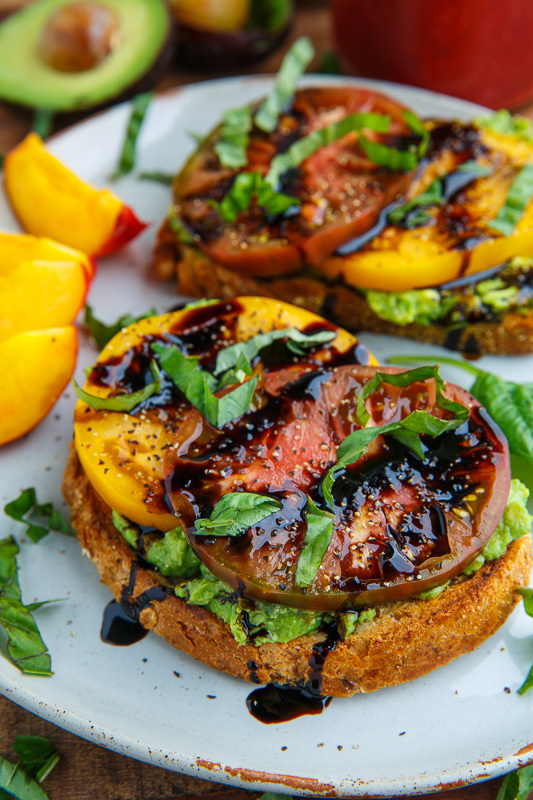 I served this heirloom tomato avocado toast with balsamic drizzle with a fresh raspberry and mint limeade and peaches! What a nice summer meal! 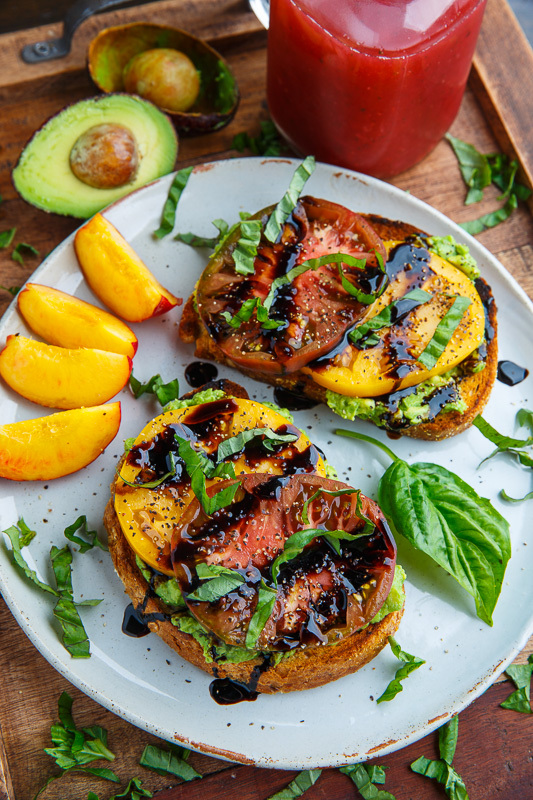 Spread the mixture of the avocado, basil, lemon juice and salt over the toast, top with the tomato, fresh cracked black pepper, balsamic drizzle and basil and enjoy! A balsamic reduction where balsamic vinegar is simmered to reduce and thicken that is perfect as a glaze or a drizzle! Simmer the balsamic vinegar over medium heat in a saucepan until it has reduced to 1/3, about 10 minutes. Option: Add 1 tablespoon brown sugar for extra swetness. Tip: Turn the stove top fan on or open your window. A fresh homemade raspberry limeade with a hit of mint! Puree everything in a blender! Option: Add 8 cups ice to make a smoothie/slushie. Option: Strain after pureeing for a smoother drink. Do you have a balsamic vinegar you recommend? The picture has bacon but it's not mentioned in the recipe…. Think I have died and gone to heaven! Just fixed for lunch. What will I do when tomato season is over?